The diverse disciplines of social science apply their methodologies and pedagogies to understanding human society: at best, the behavioural insights afforded help us to comprehend the manner in which people act, make decisions, wield power and seek to influence their world. Yet a key characteristic of relationships, the experience of failure, arouses far less interest in academic treatises than in popular culture. Books and television shows that feature the blunders of history are well-received. So too, stories of embarrassing mistakes that have been suffered by celebrities. Self-help manuals, replete with inspirational quotes from famous figures of the past and present, extol the value of failure as a crucial and necessary part of life. Risk-taking entrepreneurs are admired (and admire themselves) by virtue of the resilient manner in which they have overcome manifold obstacles on their road to success. Managerial courses routinely espouse the need for corporate leaders to learn from their mistakes. The redemptionist and often self-congratulatory tone of this public discourse, and its focus on personal well-being and business acumen, does little to explicate the distinctive varieties of failure, their causes and impact. The 2017 Cunningham Lecture will employ a little evidence and a lifetime of experience to suggest a taxonomy of failure. 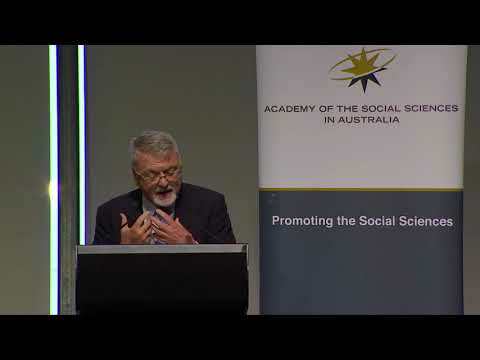 Professor Shergold is the Chancellor of the Western Sydney University. He was formerly Secretary of the Department of the Prime Minister and Cabinet. He also established the Office of Multicultural Affairs and, for a period of time, headed the Aboriginal and Torres Strait Islander Commission (ATSIC). He went on to become the Australian Public Service Commissioner; Secretary of the Department of Employment, Workplace Relations and Small Business; and Secretary of the Department of Education, Science and Training.